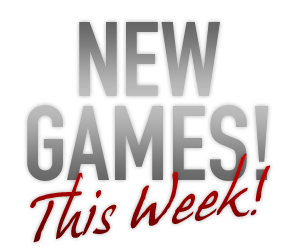 Fly Casino is happy to announce the arrival of new games coming next week. There will be games of different variety and one truly unique game! There will also be an expansion of one of our hit Marvel games. So login throughout the week at Fly Casino and be one of the first to play our new releases. We will detail all released games in next week’s newsletter as well. Last week’s Blackjack promotion was such a hit we are running it again! On Sunday February 16th, 2014 from 00:00GMT until 23:59GMT play at least 300 rounds of Blackjack of €/$/£ 5.00 per bet or higher and you are guaranteed a €/$/£ 10-50 cash prize from our random prize draw. All you have to do is play 300 hands or more above $/£/€5.00 and you are guaranteed a prize. Saturday February 15th,, 2014 00:00GMT until 23:59GMT on your first deposit of $/£/€10 or more our members are eligible for our exciting Your Choice bonus. Are You Still Reading Take 2?